Romanian Cultural Days, which was organized by Istanbul ”Dimitrie Cantemir” Romanian Cultural Centre in order to celebrate the National Day of Romania started at Izmir University of Economics. Ekrem Demirtaş, President of IUE Board of Trustees, Prof. Dr. Oğuz Esen, IUE Rector, Cerasela Nicolas, Consul General of Romania in Izmir, and Dr. Dragoş C. Mateescu, Lecturer at IUE Department of Political Science and International Relations attended the organization that took place at IUE Conference Hall. 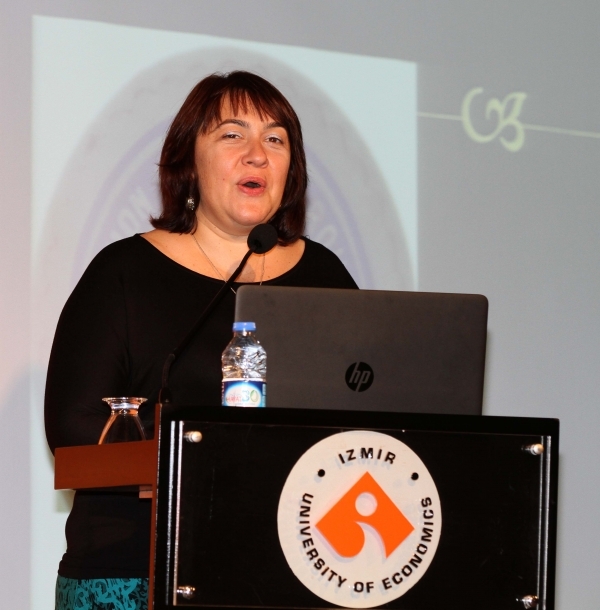 Cerasela Nicolas, Consul General of Romania in Izmir, stated that Izmir University of Economics was her favourite education institution, and that the young and dynamic structure of the University was remarkable. “Celebrating the birth of Romania in the young and dynamic structure of the University rejuvenates us as well. There is future here. The future of Turkey is being raised here,” said Nicolaş. 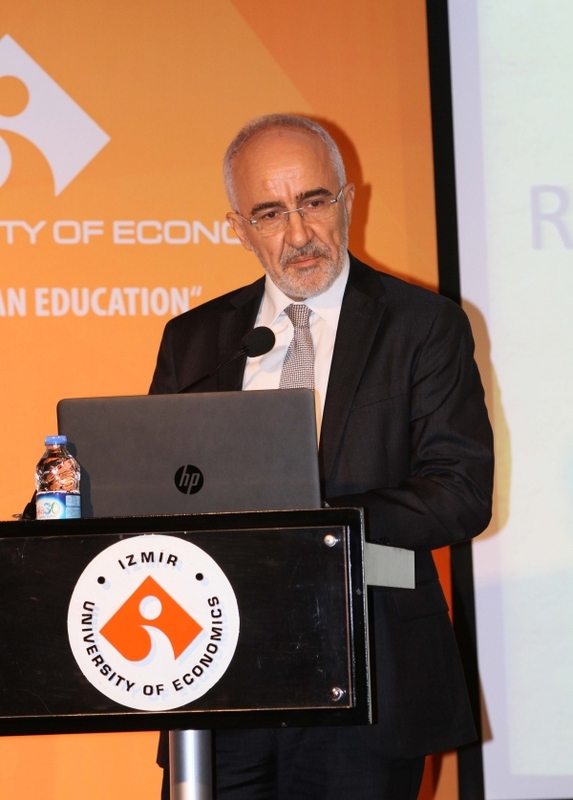 IUE Rector Prof. Dr. Oğuz Esen stated that the University offered high quality education and he said, “We are hosting many events at the University in the field of arts and science. We are in collaboration with Romania. We are working to increase the number of Romanian academicians and students in our university”. Dr. Silvana Rachieru, Director of Istanbul Romanian Cultural Institute, who delivered a presentation titled “Remembering War, Enjoying Peace” said that they started the activities to promote Romanian culture in Çanakkale and Izmir was their second stop. 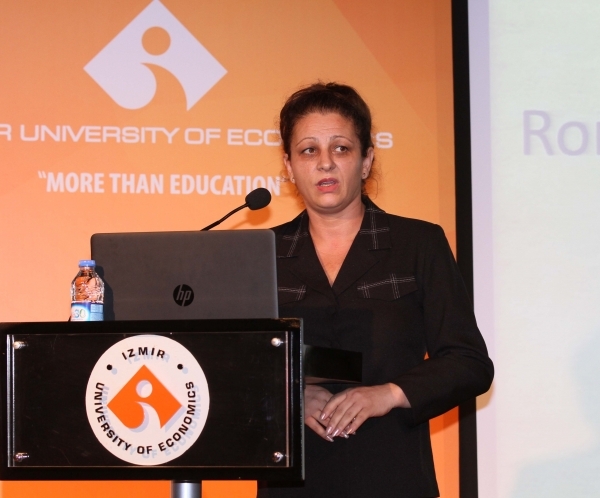 Rachieru stated that they would be holding organizations at various cultural centres in Izmir, and she said that Romanian Cultural Days will come to an end in Edirne following Thessaloniki.